Android has become a popular name in the smart phone industry even since its inception. Needless to say, Android operating system is the latest to make an appearance in the markets with loads of mindboggling features. Promotion of this technology was a joint collaboration of more than thirty esteemed companies, led by the eminent Google itself. The prime intention behind the creation of Android OS was to reinforce or intensify Open Handset Alliance, which was officially made public in 2007. This implied that several software, hardware and telecom companies are working effortlessly to revamp and accelerate the OS. Android devices have an open source platform which means that anyone who comes up with an idea of development can form and release their outcome; your being a professional or part time tinker hardly makes a difference. As no specific organization claims to hold the technology, developers can write new programs and applications without any hassles and enthralling newer levels of mobile computing at an unimaginable speed. A few of the interesting and fun facts about Android phones that are sure to take you by surprise are listed below. If you are of the illusion that Android is Google’s brain child, then you are wrongly mistaken. Andy Rubin and Rich Miner were the ones behind its invention, way back in 2003.They sold it to Google for fifty million dollars and then this technology was concealed and the technology was being worked upon, until in 2007 Google finally decided to release the Android device. Today Rubin and Miner are the Director of platforms for mobiles and the Group Manager at Google, respectively. HTC Dream was the first phone that ran on Android Operating System and it was released on the 22nd of October, 2008; while HTC Magic was the first Android phone that was launched in India in the month of June in 2009. Android 1.1, the first version of Android, was launched in 2009. The later versions, Android 1.5, 1.6, 2.1, 2.2 and 3 also called Cupcake, Donut, Éclair, Froyo and Gingerbread respectively, were all launched by the end of 2010. Android 4.1, also known as Jelly Bean, is the new OS of Google’s Android, which is expected to make an appearance in the middle of July. This OS will be available for Nexus S phones, Galaxy Nexus 7 tablet and Motorola Xoom tablets. Though Google claims that Android’s platform is an open source- the reality is something different. 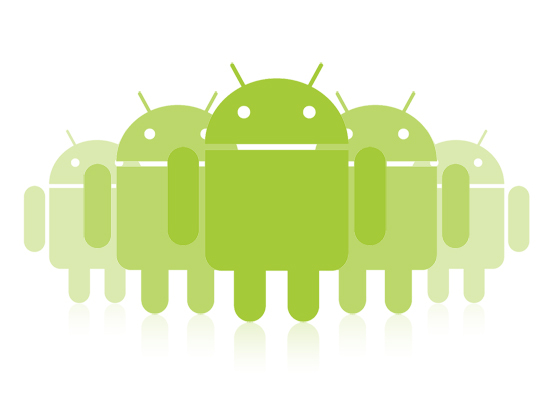 Google has not disclosed the Android’s source code to the community of developers for its own good reasons. The operating system of Android phones can indulge in efficient multi-tasking. Multiple applications like media player, Google maps and browser can be run simultaneously without the phone being susceptible to any kind of disturbance. Android has been gaining popularity owing to its capability to support marvelous and astounding features, and hence users prefer browsing Face book or play complicated games like Partypoker on Android devices. July 2010’s reports show that the Market for Apps has 75000 applications approximately and more than two lakh phones are activating this technology on a daily basis. As per Gartner’s reports of August 2010, the operating system of Android has been globally ranked at the third position.